Winters are always very difficult to deal with. Most times, getting out of bed can be a big ordeal (it’s freezing!) and not to mention going about your daily activities with snow on the road. And the truth is, no matter how many winters you’ve experienced in your lifetime, you are still going to dread the next one. But don’t worry, we’ve put together a few hacks that’ll help you out when dealing with cold weather at all times! Windows are a gateway to the immediate environment. Covering your windows well will help in securing your home from the cold outside. To do this, you can use simple insulators to cover the windows during the winter period. Examples of homemade insulators could be covering your windows with transparent plastic films. You could also use thicker curtains that are enhanced to insulate your home during winter. A great way to keep your feet extra warm this cold season is to cut out felt to the shape of your shoe’s sole. It’s an easy hack that’ll keep things more insulated. To reduce the extreme cold in your apartment or house, you might want to make your meal plan around using the oven. And when you’re done roasting or baking, turn it off, and keep the door open to let the warmth filter throughout your home. During the winter, when parking your car outside, ensure you cover your windshield wipers with socks to prevent them from being damaged by the extreme cold. When your wipers are exposed to the cold weather, the ice might make them hard to clean without causing wear and tear. Covering them with long socks will protect them and prevent damage. Ensure that your car’s side mirrors are covered during winter to prevent them from being covered with ice. Ice can be very hard to remove from your mirrors, thus, it is advisable to protect the mirrors from being exposed to the cold weather. One of the distinct advantages that comes with working out is that it keeps your whole body warm. A warmer body system will function much better during the winter so you should exercise more. One part of the body that is easily affected by the cold are your feet. Once the feet are cold, they have a way of making the rest of your body cold. So to keep your feet warm during the winter, it is advised to wear waterproof shoes at all times as this will protect your feet from the wet at all times (and keep your from getting sick). The winter is always synonymous with getting sick. So to protect yourself from common sicknesses and fevers that come with the cold, you should consider eating food that’ll boost your immune system and keep you strong and healthy at all times. The sun is a great source of natural energy and should be taken advantage of during the winter. When the sun is out, you should endeavor to open your windows and raise your curtains so that the natural warmth of the sun can come in and keep everywhere warm (and give you Vitamin D which is great for health and happiness!). Even if it only works temporarily, making a beverage of your choice will help keep you warm. It’s also a great way to take in a healthy drink (like an immune boosting tea) while warming you up from the inside out. 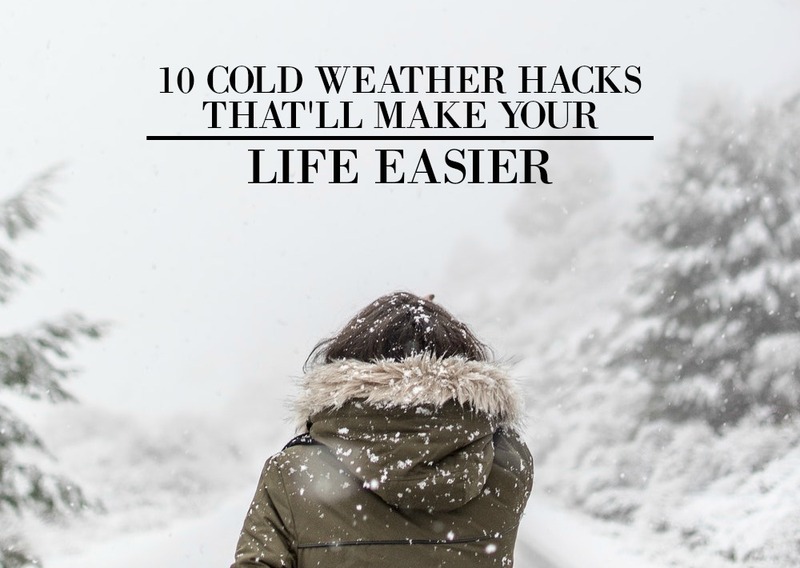 The winter can actually make life very rough for you, but using some or all of these hacks will help you cope well with this season. Now if you have any questions, just let me know in the comments down below! I’d love to help!